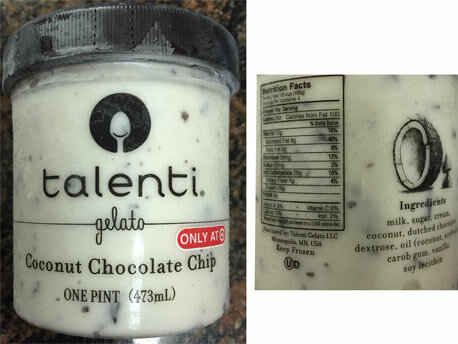 On Second Scoop: Ice Cream Reviews: 8 New Talenti Flavors for 2015! 8 New Talenti Flavors for 2015! You read that headline right, there are seven new flavors coming to the Talenti line up this year. That's just crazy (in a good way ofcourse). See, it all started with a twitter tip from John. After John sent us a photo of his discovery, I did a little digging. Seeing as he found flavor #35, I had hoped to figure out flavors 31-34, but instead, yeah, I found flavors 31 through 37. Now it's just my opinion, but this list tells me that Talenti is very serious about stealing market share from everyone. So many companies want a piece of the gelato pie nowadays, but instead of playing it safe, Talenti comes out swinging with a wide range of flavors including taking a shot right back at classic ice cream with a cookie dough flavor. As long as they maintain quality, this should be an awesome year for them. Big thanks to John for the info. Keep those tips and pictures coming everyone! And this makes 8: Alana sent in pictures of the new Target exclusive that Nick and I have heard about but have yet to find. Coconut Chocolate Chip doesn't have a number and I assume it's their usual coconut flavor but with their fantastic chocolate flakes mixed in. I guess hazelnut is out of job! Thanks again for the pictures! My pleasure, glad I could contribute something to the junk food world for a change. Having said that ... Woohoo! My goodness... Never expected all of this. And there doesn't appear to be a single dud in the group. Going back & forth between which I'd love to get my hands on first. Can't wait for the reviews to start trickling in. Awesome work! Thank you (and Dubba) for sharing this. I am so happy to see the Oatmeal Raisen one! Have desperately missed Oatmeal Chunk by B&J's so this will be a good replacement. More and more I am moving away from B&J's and choosing Talenti. These look awesome!! Especially can't wait to try oatmeal cookie and raspberry cheesecake! I really want to try that Oatmeal Rasin one. That just sounds good. Oatmeal Raisin Cookie Gelato? Salted Peanut Caramel?! HECK YES!!! Where is everyone finding these? have not seen one of the new ones yet in Pennsylvania. I found the Salted Caramel Peanut, Tiramisu, & Hazelnut Chocolate Chip at Giant. They had a spot for the Chocolate Chip Cookie Dough but were either out or didn't get any in at that time. When you can't find a flavor, call the nearest store/market near you and see if they can order it. That usually works. Tried the oatmeal raisin. Very bold flavor. But I wish the cookies were larger. It was just oats in a puddle of rumlike gelato with raisins. Chocolate chip cookie dough was awful. Tastes like artificial cookie dough flavor. And no mix ins. I was also disappointed with the Chocolate Chip Cookie Dough. 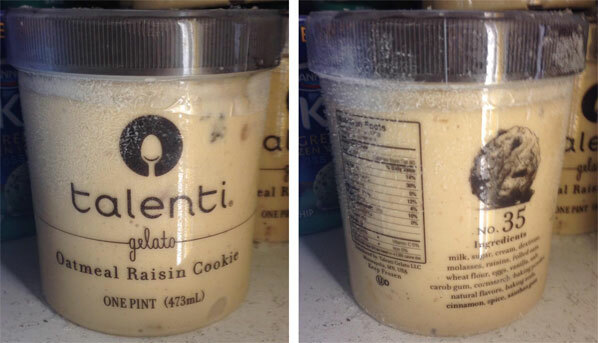 It tasted like a generic Cookie Dough that you could get for much cheaper. My favorite so far is The Salted Caramel Peanut & Tiramisu. Hi again. I'm the one who disliked chocolate chip cookie dough and was not too impressed with oatmeal raisin cookie. Just tried salted peanut caramel. I love it. Loved the "Carmel Apple pie".. I'd like to try double dark cho next. Why no more Fudge Brownie #28??? Tried Southern Butter Pecan found at Walmart. .fabulous. .best ever. Have gone back 4 times in one month can't get enough. Salted Peanut Caramel is great!! My personal FAVORITE is Hazelnut which is currently an exclusive at Target. Hoping it goes everywhere since I've seen Hazelnut Chocolate Chip but can't eat chocolate. Gotta keep the original!! Hazelnut has been replaced by Coconut Chocolate Chip as the new Target exclusive. Sorry, I should have updated the post when TIB showed the new exclusive, I will fix! Could you please make a salted Caramel walnut hard shell chocolate covered pint size?? Pretty please. I know that will kick it also. Love breaking through the hard chocolate because I know what's behind it will be good. Could you please try making a Lemon 🍋 talents, I love the southern butter pecan my personal favorite.